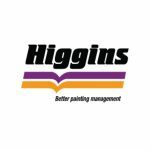 Higgins Coatings is Australia’s premier commercial painting contractor, providing a complete painting maintenance service and solutions to a broad range of industries. No recruitment agencies please. Only shortlisted candidates will be contacted. Successful candidates will need to undergo a National Police Check. We support Equal Employment opportunities and encourage Women and Aboriginal and Torres Strait Islanders to apply.